Simply put, Memorial Day is a day at the end of May when Americans commemorate and celebrate the country’s fallen military heroes. While it may seem these days that Memorial Day is more about clothing sales, there is actually a noble history behind hit. Once known as Decoration Day, Memorial Day originated after the American Civil War to honor the Union soldiers who lost their lives during the war. By the 20th century, the day came to honor all Americans who have died in all wars. In addition, Memorial Day also marks the unofficial start to the summer season. According to the US Memorial Day website, there are several reverent ways to honor the men and women who paid the ultimate price to help protect their country. 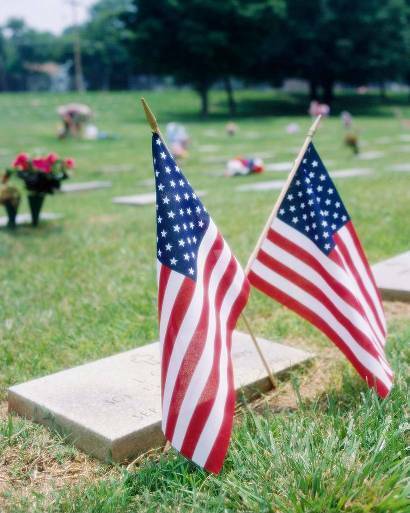 – By visiting cemeteries and placing flags or flowers on the graves of our fallen heroes. – By flying the U.S. Flag at half-staff until noon. – By flying the ‘POW/MIA Flag’ as well (Section 1082 of the 1998 Defense Authorization Act). – By participating in a “National Moment of Remembrance”: at 3 p.m. to pause and think upon the true meaning of the day, and for Taps to be played. – By renewing a pledge to aid the widows, widowers, and orphans of our fallen dead, and to aid the disabled veterans. Many local communities have public picnics and events to honor the day; some areas even have special parades. If there’s nothing like that in your area, take the initiative and plan something yourself! Invite the families in your area who have lost loved ones to war, as well as your local veterans. Make it a potluck so everyone feels involved; it also helps to bolster the spirit of community. Once everyone has gathered, the reading of a poem is a great way to get the festivities started. 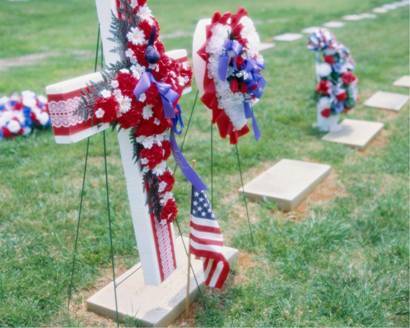 © 1999 by Michelle Keim, Commander of Royersford VFW Post 6341 in PA.
How will you be observing Memorial Day this year? We’d love to hear your plans – share them below in the comments section! This entry was posted on Sunday, May 6th, 2012 at 1:46 PM	and is filed under Misc.. Both comments and pings are currently closed.